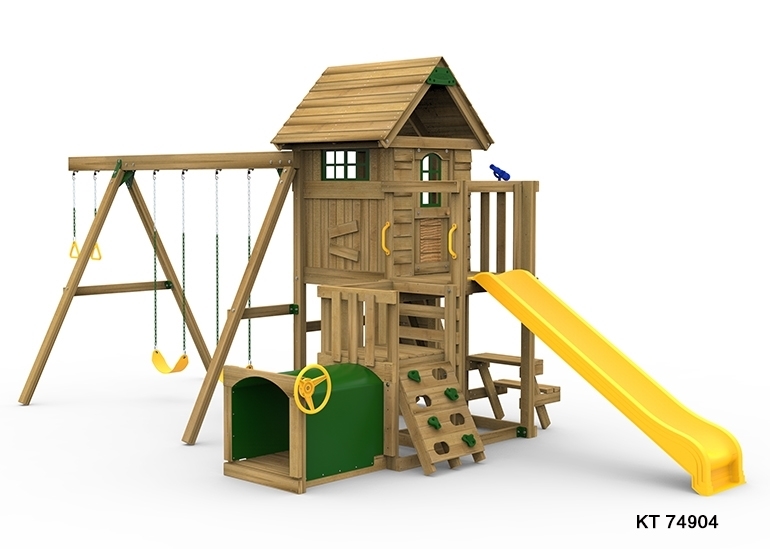 Well Rounded Fun for younger children. 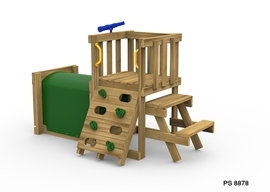 Designed for active toddlers to help build strength and develop coordination. 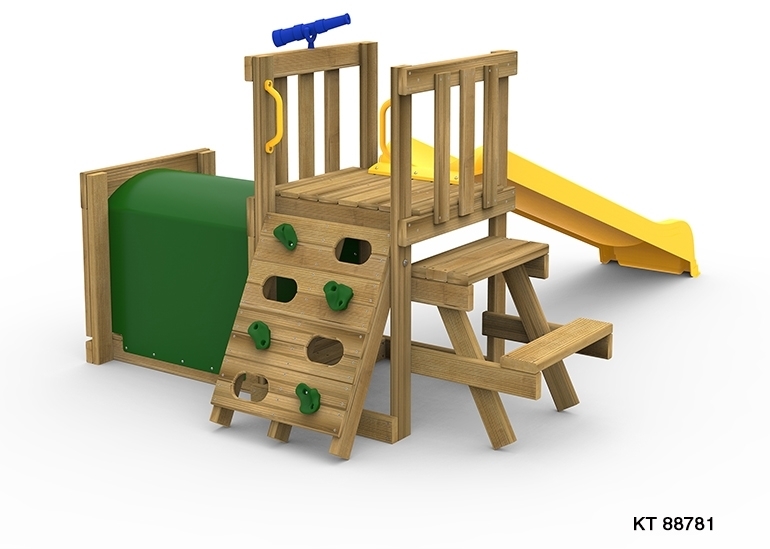 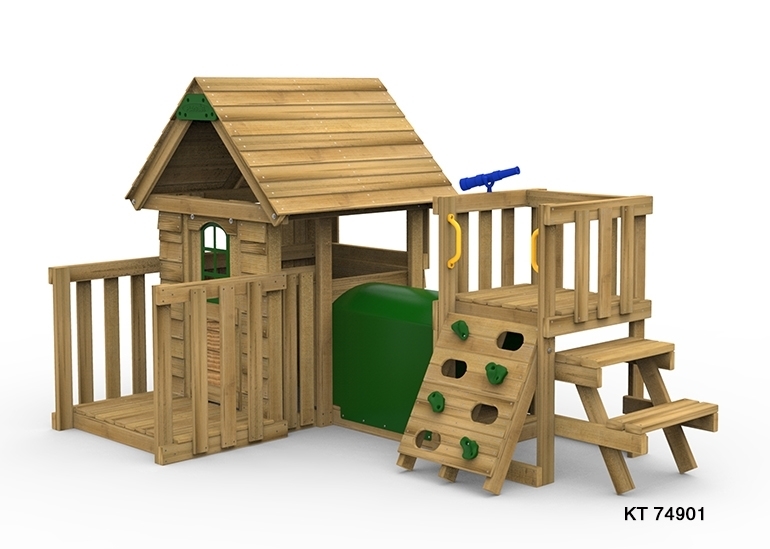 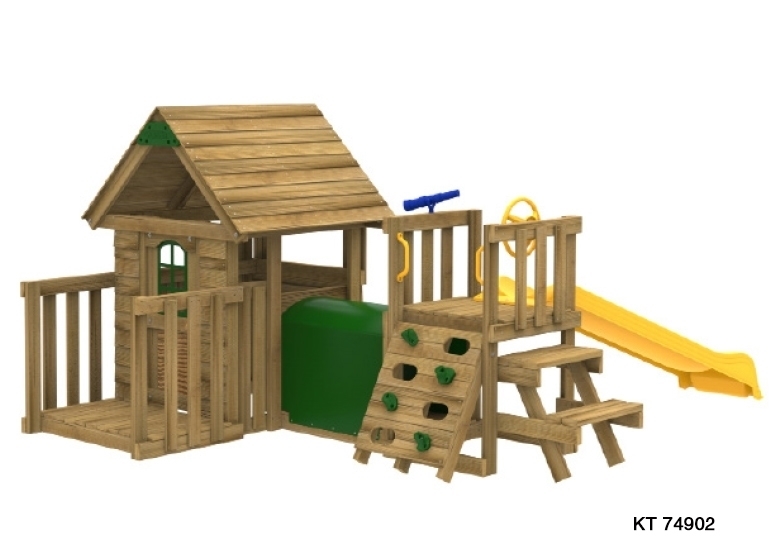 Includes Adventure Tunnel, play deck, picnic table, rock wall with rocks, telescope, play handles and location for a slide (sold separately). 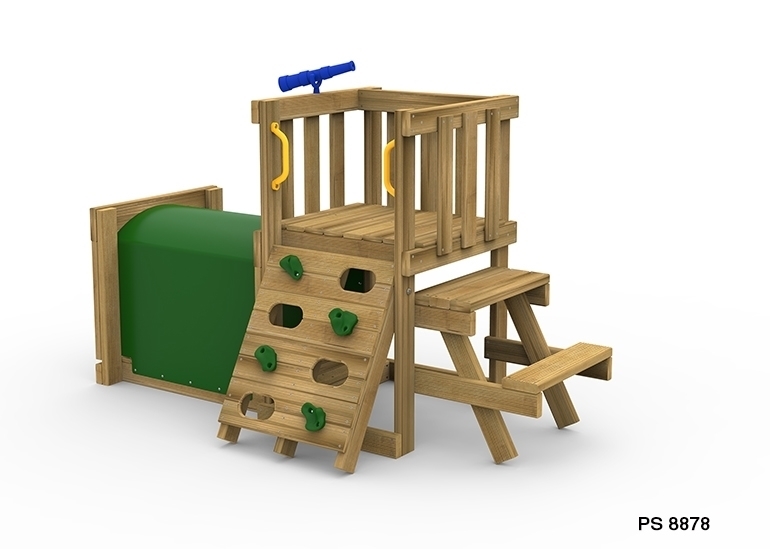 When it is time to expand, simply attach the Little Sprout Play House PS 7490. 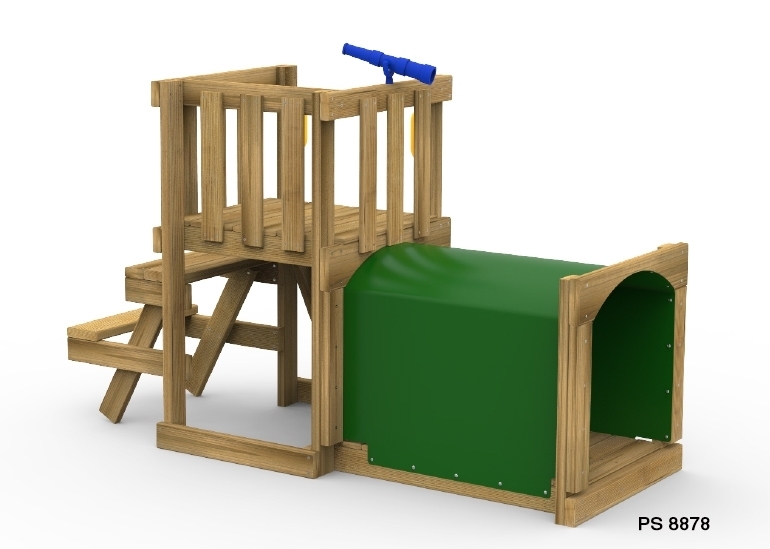 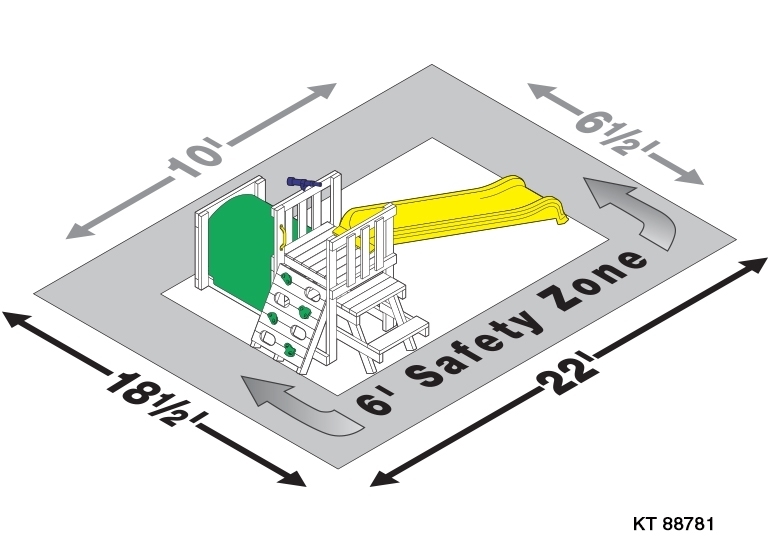 Playset Size (w x d): 30.5" x 58.5"
Height to Top of Rail: 47"